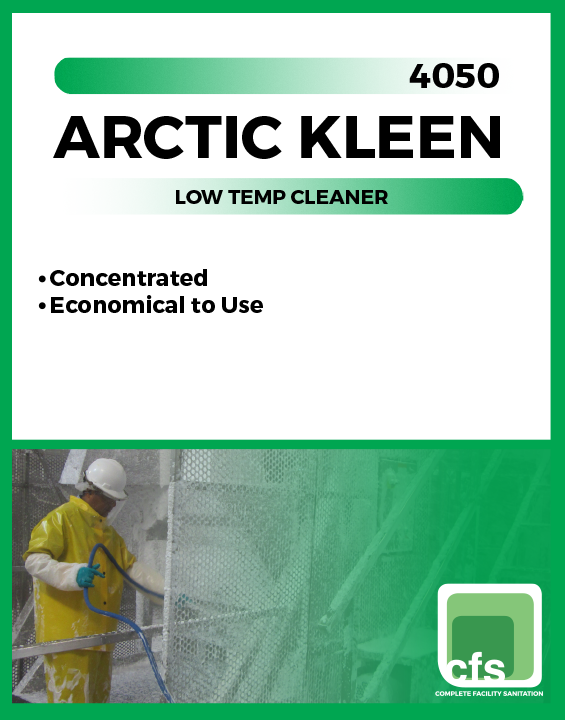 Arctic Kleen is a multiple use liquid cleaner for cleaning anywhere in below freezing conditions. It is specifically designed to provide fast, efficient and practical means for cleaning frozen food lockers, equipment, docks and any other cold temperature cleaning of dirt, grime, fats, grease and similar deposits from metal, quarry tile, concrete and other hard surfaces. 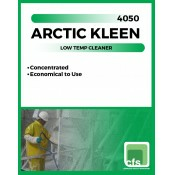 Arctic Kleen resists freezing to -44° F.